Chase away post-Games blues with festive cheer. The annual event is free, but tickets are on sale for new attractions to reward delegates, such as the Magical Ice Kingdom. 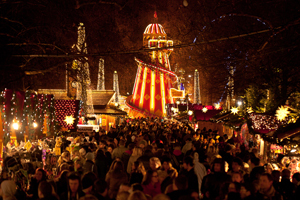 There will also be an outdoor ice rink and a Christmas market. Venues for hire include the Bavarian Village, with spaces for 100-250. The centre will bring to life Alex Ross' book on 20th-century music history in a year-long festival. Opening in January with a Strauss concert by the London Philharmonic Orchestra, it will include concerts and events inspired by important 20th century works. Billed as the best weekend in basketball and expected to attract 16,000 fans, the Euroleague Final Four will be the finale of almost 250 games across seven months. Tickets will grant access to all games, and hospitality and premium seating options will be available later this year. RHS Chelsea Flower Show is set to steal the spotlight back from sport as it celebrates its 100th anniversary in May. While final plans are yet to be revealed, event planners can expect extra celebrations to mark the centenary. The show will include gardens created by some of the world's best designers and spectacular floristry displays. There are still plenty of sporting fixes to be had in 2013 - including the Uefa Champions League final. Returning to Wembley for the second time in three years, it also marks the FA's 150th anniversary and will be a key date for hospitality and incentives. For some delegates, it'll bring back memories of the Games, while for others it will be the first chance to see inside. But when the Olympic Park reopens in July, the 500-acre site in Stratford will undeniably open up a raft of additional hospitality opportunities. Events include a new annual cycling festival in August. October will mark 50 years of the National Theatre Company. Details of the celebrations are yet to be announced, but there are plenty of event spaces for groups wishing to join in. 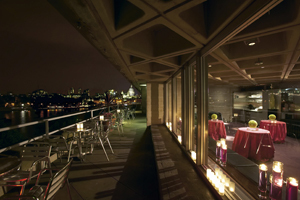 The meeting rooms can be used in association with theatre shows - hire 120-capacity rooftop events space The Deck alongside a backstage tour or afternoon workshop.